I am biased, I admit it. Tatuaje is all that and a bag of chips. 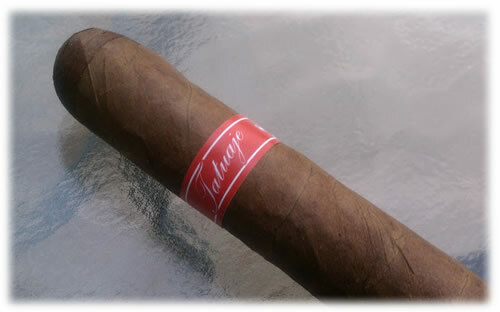 I am about to review my favorite everyday smoke and tell you why Tatuaje is THAT good. Construction: The Havana VI is THE most consistent cigar I have ever had. Always perfectly constructed with a triple cap and never a blemish. They are very light in the hand and never fail to be fun to look at. Pre-light Aroma and Draw: The unlit aroma of a Havana VI is very bright and crisp with a very nice cedar smell that makes the mouth water. The real story with the construction of these lovelies is the draw. It is perfect. Every time. All the time. Wide open full throttle....so open you could probably use it as a drinking straw - I will never try that so don't ask. Light and Burn: Another phenominal performance in the light and burn. The Havana VI lights easily and quickly and self-corrects to keep an even burn. Sure, I have had to retouch a few of these occasionally - OCD as I mentioned before - but never off-putting or annoying. Be warned - because of the open draw these things smoke like lightning. A standard Robusto size will be gone in twenty to thirty minutes. But those minutes will be good ones. Tasting: A clean floral almost tea-like spice starts these up for about a half and inch before the complexity hits. As with all of Don Pepin's blends, the Havana follows the same formula - spice - wood - mystery flavor - more spice. I have tasted all sorts of things in the " mystery" segment and the one I am reviewing tonight was an unmistakable honey flavor. There was a rich almost hypnotic sweetness to it - once again cementing the Havana VI as my all-time favorite daily cigar. Value: At just over $7 each the Nobles size is affordable and amazing! Final Thoughts: Yes, I am biased. Every single Tatuaje cigar I have tried has been memorable and stellar in all areas a cigar should be. While not as complex as the Miami (brown label) it certainly satisfies beyond the scope of the standard big-name cigars you find in abundance in cigar shops. Without a doubt, extremely highly recommended!